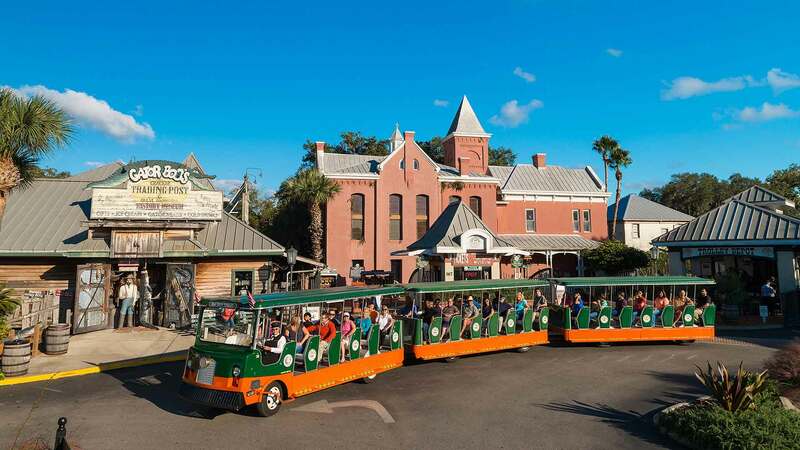 See the best of St. Augustine first on board the Orange and Green Old Town Trolleys. 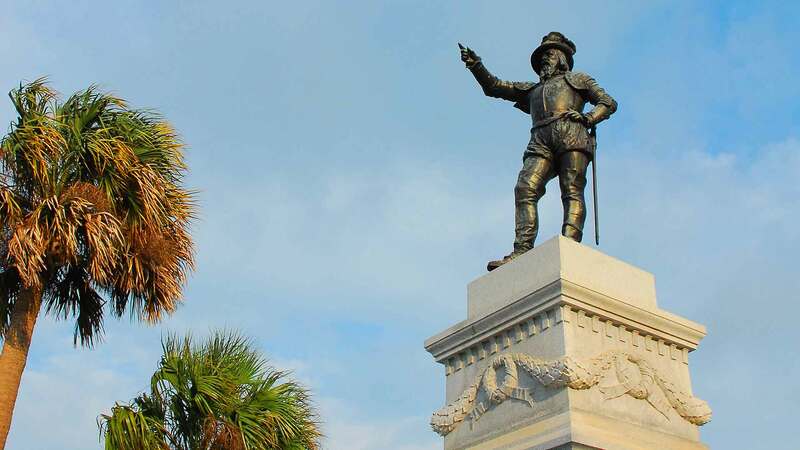 Listen and discover many facts about America’s oldest city as our Conductors tell historical accounts and humorous tales of the many sites, attractions and people that make St. Augustine so unique. 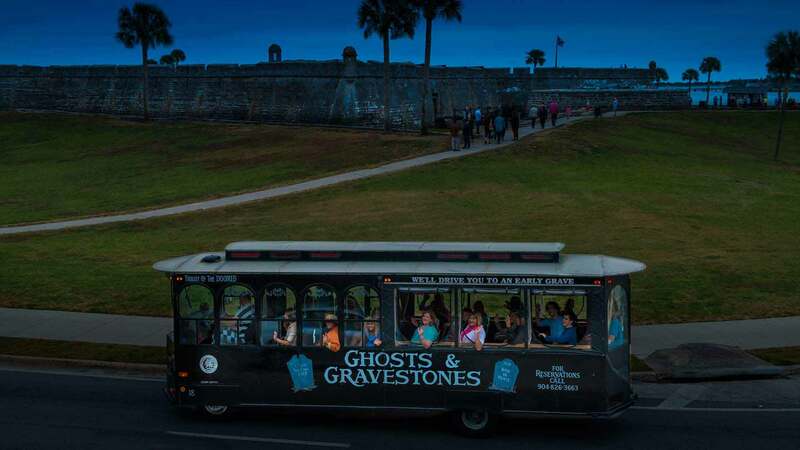 Visit numerous points of interest throughout our St. Augustine tours—and take your time, as Old Town Trolleys of St Augustine travel throughout the city all day, allowing you to see and do as much as you wish during the tour. One visit to San Sebastian Winery and you’ll quickly discover that not all the best wines in the world are produced in Italy and France. 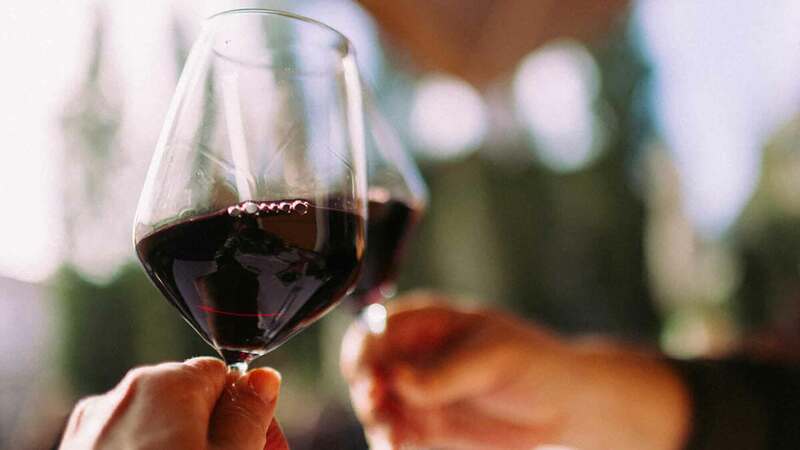 On the contrary, in St. Augustine, Florida the San Sebastian Winery has become a leader in its industry, creating marvelously tasteful wines from hybrid and muscadine grapes. Since 1996, the winery has been delighting wine connoisseurs and interested guests with informative tours and delicious wine tastings. Weekends at the winery offer evenings of live music, fabulous wine, light fare and fresh air at The Cellar Upstairs—a Wine and Jazz Bar on the rooftop of the winery. Stop by the San Sebastian Winery seven days a week for a tour. Another stunning example of Henry Flagler’s skill and mastery, the Grace United Methodist Church was built in 1886 and took one year to complete. 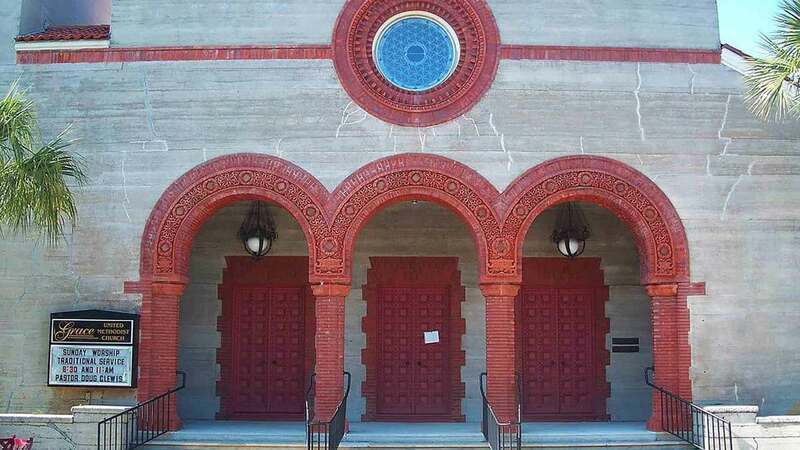 Like several other Flagler projects, the church is a wonderful example of the Spanish architecture that still makes its mark throughout St. Augustine. 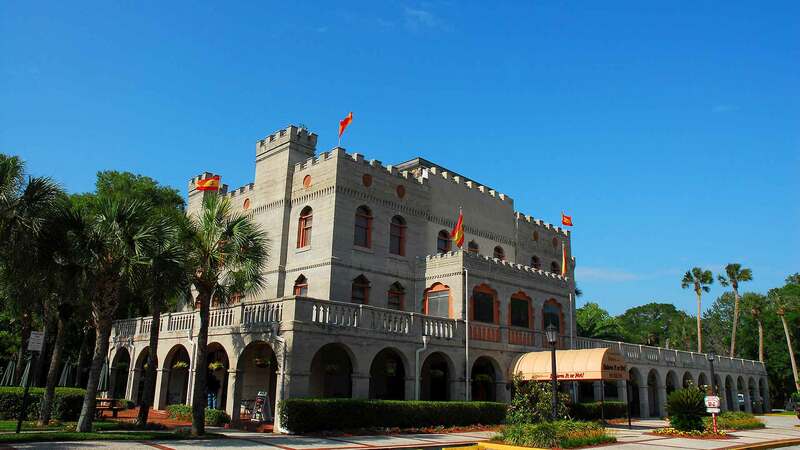 Located in close proximity to Flagler College, the lovely structure serves as a place of worship for many residents in the area and is visited by travelers from all over the world for its historic significance. St. Augustine offers an abundance of exciting attractions and historic points of interest for people of all ages. A stop in at our Visitor Center can make seeing all the sights easier and more convenient as our staff is ready to assist you with valuable information and guidance. Pick up maps, brochures and get the latest information on the many tours that are available. A charming array of boutiques and shops, restaurants and ice-cream parlors, St. George Street offers a splendid time for visitors and locals alike. Centuries old buildings are also here, allowing a look back at the ancient city’s past and its importance to the United States. Spend an afternoon shopping, enjoy fresh seafood and other delights or come for the delicious home-made fudge and ice cream. St. George Street has something for everyone and is a favorite spot among tourists. 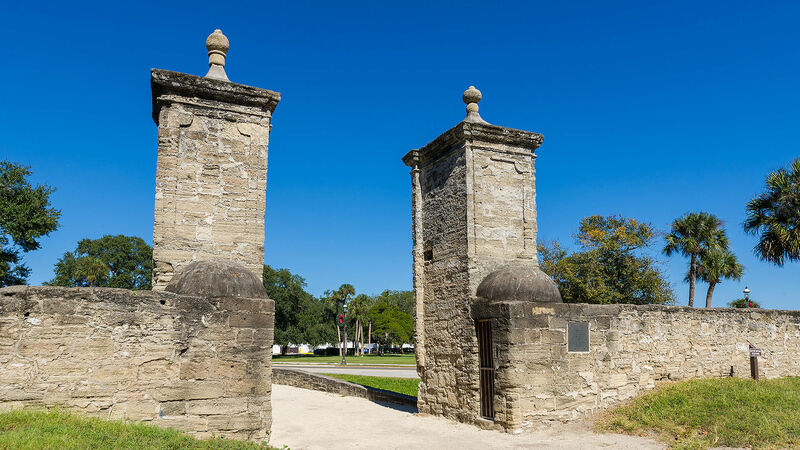 A lasting tribute to the earliest American settlers and their life in St. Augustine, the City Gates sit at the north end of St. George Street. Take a moment after enjoying all the shops and sights along St. George to see these historic markers that have stood the test of time – and weathered many hardships. These imposing stone columns were once the only way to get into the city and were built to protect St. Augustine from invasions. Robert Ripley has thrilled and fascinated people for nearly a century. He began his remarkable career as a cartoonist for the New York Globe in 1912 when he was hired to sketch sports cartoons. His passion for traveling, art and the unknown led him to venture around the world—looking for stories, items and people that were not only incredible but to most, unbelievable. 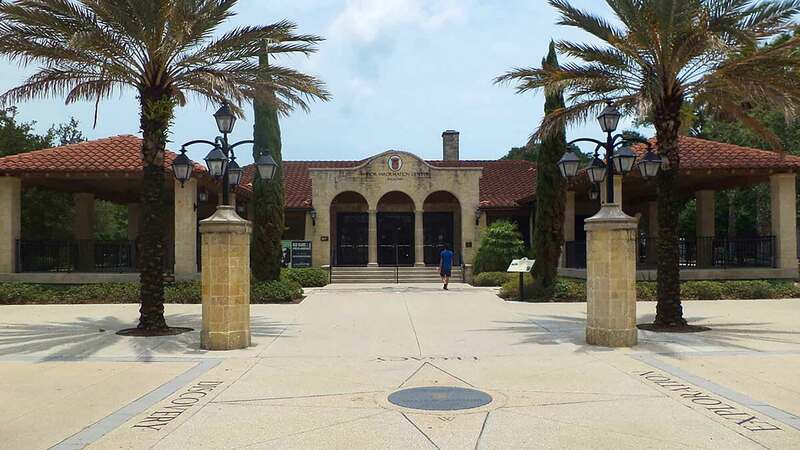 After his death in 1949, Ripley’s family opened the first Ripley’s Believe it or Not Museum right here in St. Augustine. Since then, hundreds of thousands of visitors from all corners of the earth have visited to see the more than 800 exhibits and interactive displays—and to hear the fantastic stories of Ripley’s hundreds of journeys and discoveries. From the completely bizarre to the truly spectacular, people of all ages are enthralled by what they see. Explore the ancient fortress that was a military bastion throughout the entire colonial period in the Americas. This 17th century structure stands on over 20 acres of land at the edge of the Atlantic and is a spectacle to see and tour. Castillo de San Marcos offers visitors an inspiring and educational look at the heritage and timeline of the Spanish rule in St. Augustine and the many tumultuous times they faced. 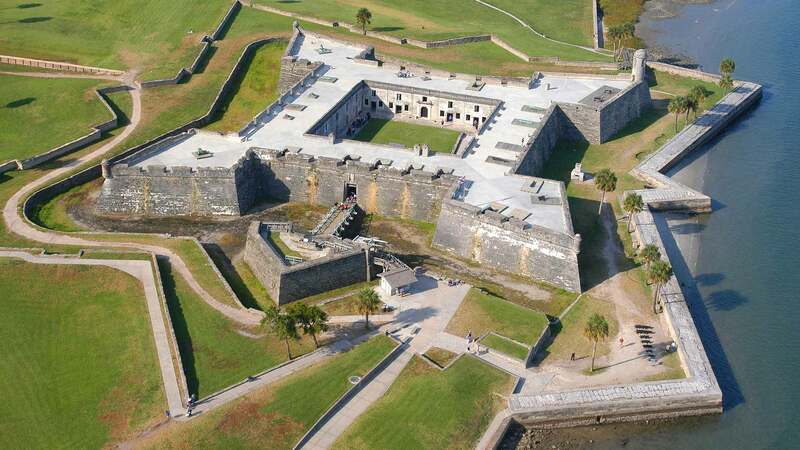 Tour the fort, catch an enthralling presentation by actors in time-period costumes and learn about the amazing background of this historic St. Augustine icon. Meet Michael Jordan face-to-face—or is it? The wax figures at Potter’s Wax Museum look so real you’ll be amazed. 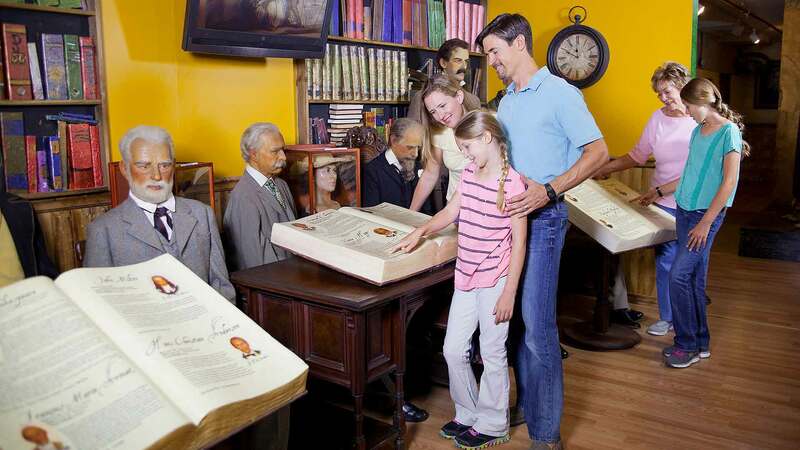 As Florida’s very first wax museum, it features more than 160 authors, scientists, sports celebrities, movie stars, politicians and much more. Stroll through this intriguing and educational museum and see figures from our founding fathers to the present day. It’s a fun and unique attraction that everyone enjoys. Drink from the legendary spring where Ponce de Leon was drawn in search of the Fountain of Youth. 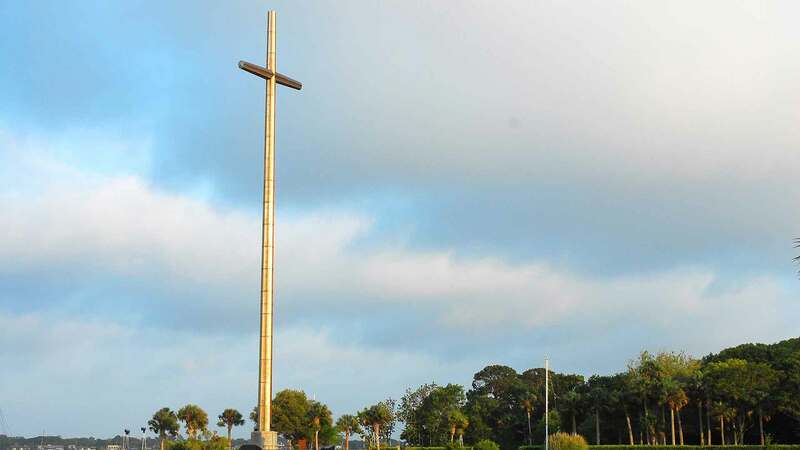 Stand in the very spot where he landed in 1513 and see the Landmark Cross that was discovered in the 19th century that is believed to have been placed there by Ponce de Leon himself. Walk through the majestic park brimming with gorgeous flora and thriving gardens, enjoy a picnic in the shade. In the Planetarium learn about the life of the explorers and their long, arduous journey to the Americas. 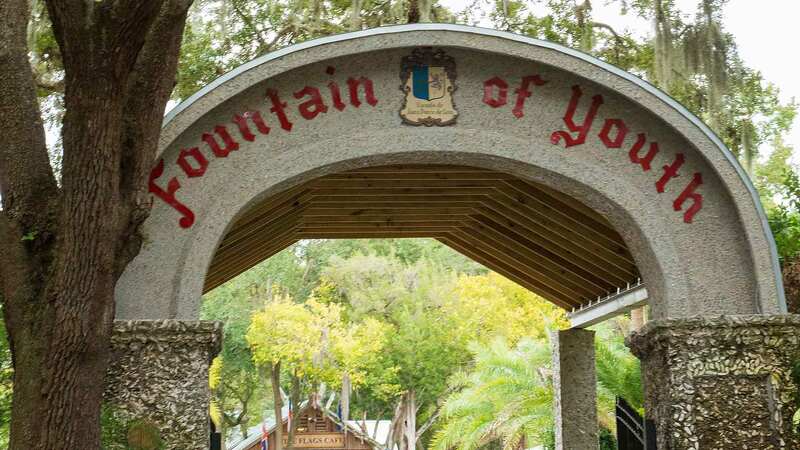 The Fountain of Youth provides a historic view of the voyage of Ponce de Leon and his momentous arrival in St. Augustine. 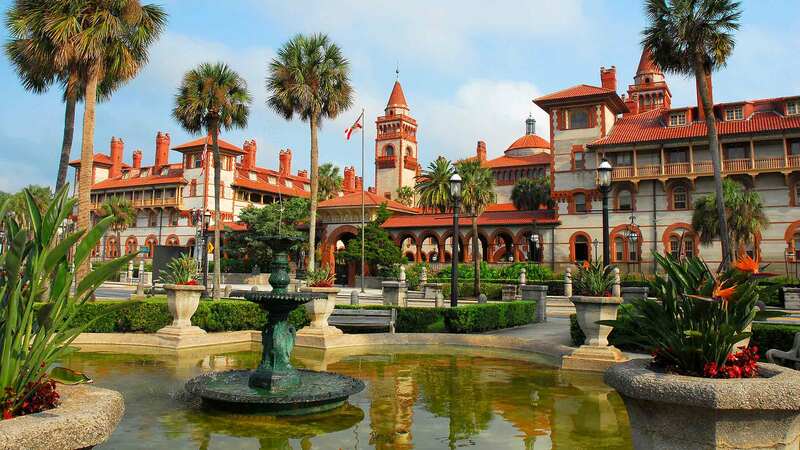 Once the opulent Ponce de Leon Hotel catering to wealthy travelers, statesmen and other prominent visitors, Flagler College is now home to thousands of college students studying various disciplines. The structure was constructed by Henry Flagler in the late 1880’s and was purchased by the college in 1968. Meticulously preserved and restored throughout the years, this historic sight is as grand and elegant as it was during its heyday as a luxury escape. 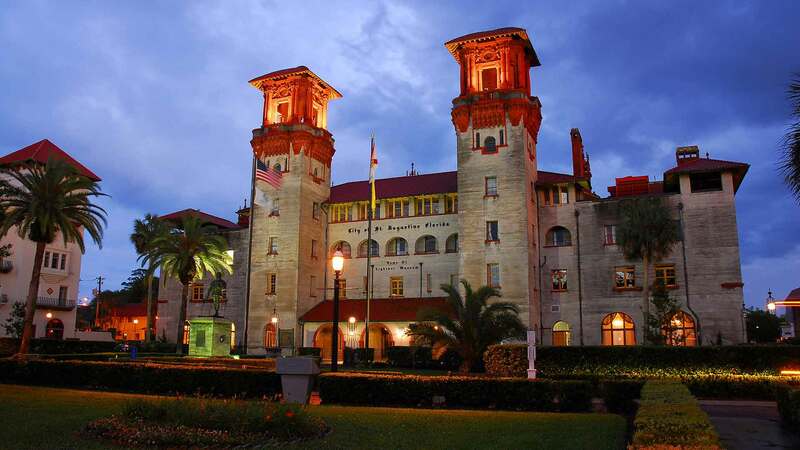 Stop by Flagler College which is a National Historic Landmark to see Flagler’s magnificent architectural masterpiece. A visit to Fort Mose offers people of all ages a remarkable look at the dramatic fight for freedom many slaves endured as they escaped through the Underground Railroad. This historic sight, which was founded in 1738, was the first free community of ex-slaves. Take a tour of Fort Mose; witness the re-enactments and experience the magnitude of the life-changing events of the first African slaves and their significance on the heritage of our country. The former Hotel Alcazar is the setting for one of today’s most elegant Museum collections. Now called the Lightner Museum, this exquisite Spanish Renaissance style structure houses one of the country’s grandest collections of artifacts, artworks and relics from the 19th century. Browse through the three floors of gorgeous cut-glass, Victorian art glass and many works from Louis Comfort Tiffany. See costumes, furniture and many more items that will give you a sense of this bygone era. In the earliest days of the ancient city, Pedro Menendez Aviles proclaimed the site of the Mission of Nombre de Dios for his country of Spain and the church. This would be the setting for the first parish Mass in the city and become the first mission of America. Visitors to the Mission are moved by the tranquil gardens, shrines and statues and the Great Cross, which is over 200 feet high. Inside the shrine of Our Lady of La Leche, a statue of Mary nursing the baby Jesus attracts guests from all around the world. 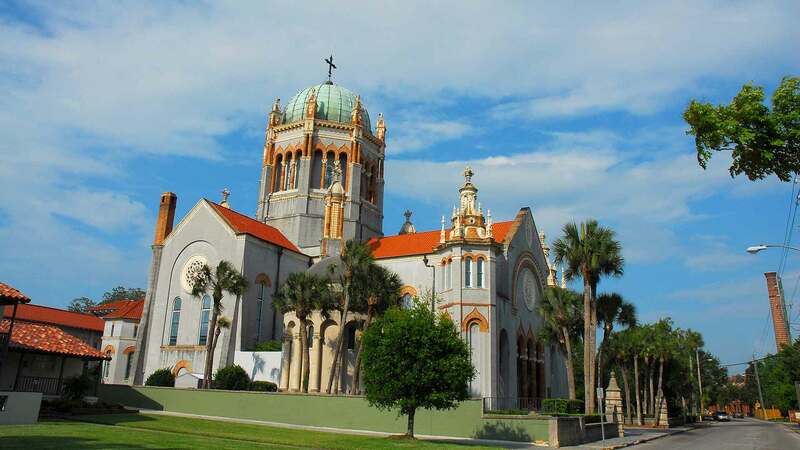 Perhaps one of his greatest achievements, the Flagler Memorial Presbyterian Church is a stunning Venetian-Renaissance Style structure that is an awe-inspiring sight in the midst of historic St. Augustine. The remarkable green dome is a focal point of the structure—its beauty and design drawing the eye from blocks away. It is here that Flagler wished to memorialize his daughter who died giving birth to his granddaughter. Today, guests to the church can tour the grounds and the mausoleum where Flagler himself, his first wife, daughter and granddaughter are buried. 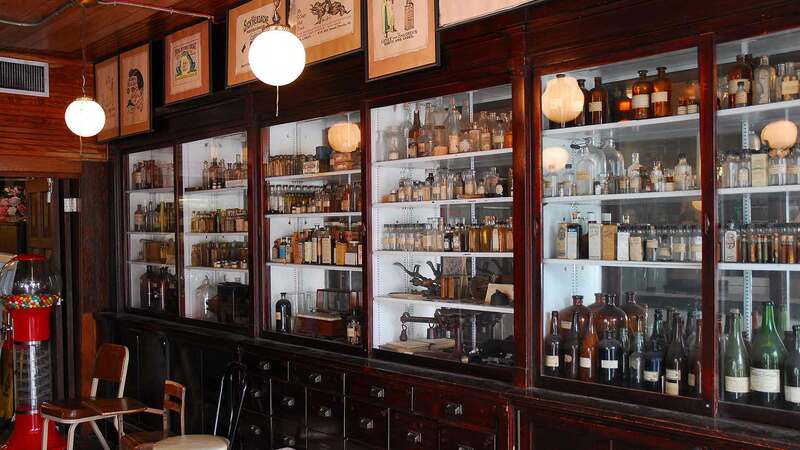 A worthwhile stop on any historic St. Augustine tour, the Oldest Drug Store is now a museum that offers visitors a chance to see how life was during the early 18th and 19th centuries. This ancient building was constructed in 1739 by Antonio Gomaas. The establishment originally sold liquor, tobacco, medicine, Indian remedies and their own medical concoctions. 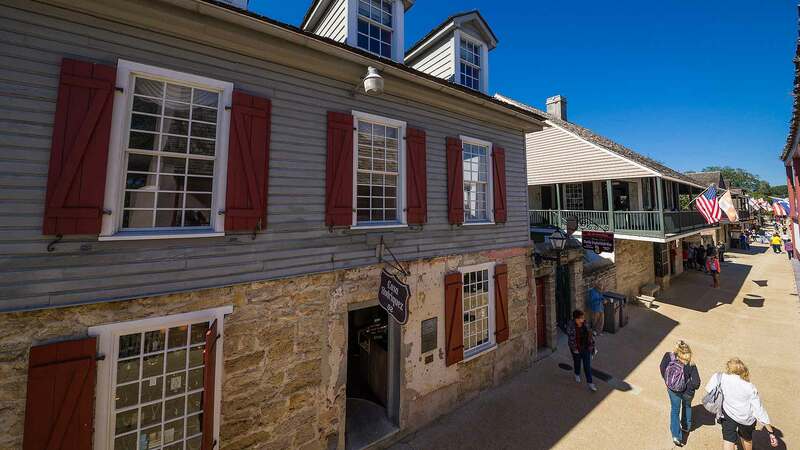 Today, guests can see an assortment of items and artifacts from that era and enjoy the ambiance of the colonial days—the Oldest Drug Store has antique cash registers, wood floors, tonics, elixirs and more. Stop in at the gift shop for a variety of collectibles, jewelry and memorabilia. Climb the stairway that now leads to Fort Matanzas National Monument and gain a perspective of the fear and fury that the early settlers dealt with on a daily basis. This historic site was responsible for protecting St. Augustine from enemy ships trying to attack or enter the city through the Matanzas River. At one time there was no stairway, just a wooden ladder for the soldiers and gunmen that lived and worked there. On the gun deck, five cannons were the weapons used by the soldiers who lived at the fort and today two of those original cannons still sit—a moving sight. Visitors can tour the Fort and its surrounding natural areas. It’s an educational and interesting outing for adults and children alike. The Plaza de la Constitucion is a lovely outdoor gathering place in the heart of all the history in downtown St. Augustine. It was used during colonial days for many commercial activities and government events. Today, the historic square is a tranquil setting where locals and visitors can enjoy a quiet moment and view several statues and monuments that chronicle the ancient past of the city. Outdoor concerts and festivals are also often held in the plaza and are known to draw crowds of people of all ages.